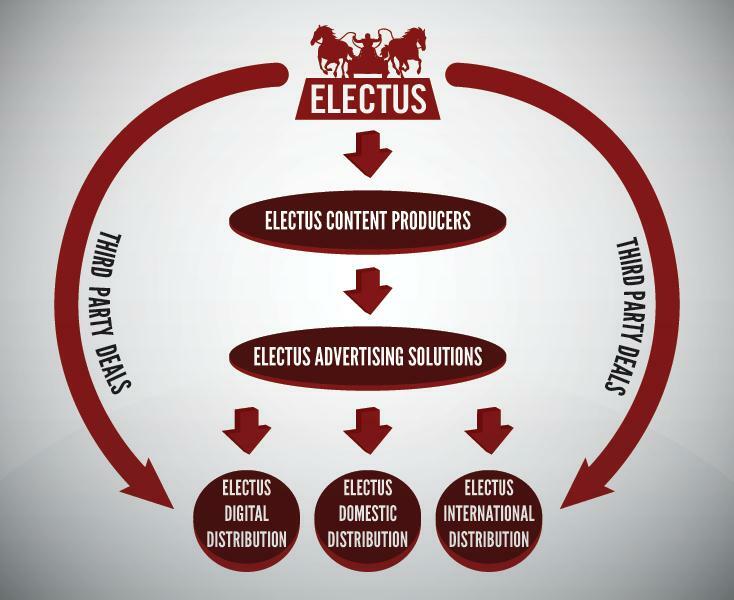 In 2009, capitalizing on the ever-evolving world of multimedia production and distribution, Ben Silverman announced the launch of a new company, Electus. This new next generation studio is a joint partnership with IAC, led by industry veteran Chairman & Senior Executive Barry Diller. 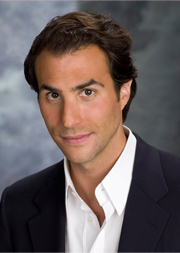 Silverman's background includes his service as Co-Chairman of NBC Entertainment and Universal Media Studios from June 2007 to 2009. He is the founder and former CEO of Reveille, through which he is co-creator and executive producer of the hit NBC reality show "The Biggest Loser", executive producer of the Emmy Award-winning NBC comedy "The Office" and the Golden Globe-winning comedy "Ugly Betty," co-creator, as well as co-creator and executive producer of the critically acclaimed "The Tudors" for Showtime. Led by founder Ben Silverman, Electus is a next generation studio uniting premium content creators with advertising and technology partners early in the creative process. 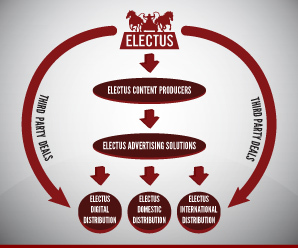 Pioneering a new global and multi-platform distribution model, Electus is defining an innovative advertising component, which challenges the traditional entertainment silos, allowing content creators and advertising partners to develop premium programs and reach audiences like never before. Electus' content is distributed globally through Electus-Engine international distribution as well as across a multitude of analog and digital platforms. Launched in late 2009 by Silverman in partnership with IAC, Electus has a presence in all areas of media, spanning digital platforms, television, film and mobile, and is the first integrated multimedia entertainment studio to unite producers, creators, advertisers and distributors under one roof and produce all forms of content for distribution across a variety of platforms around the world. With content in the world of reality, game shows, one hour drama, comedy, women's lifestyle, children's programming, digital content and urban entertainment, the Electus slate allows content creators and branding partners to reach audiences like never before.